The Splurge is our new weekly column dedicated to expensive beauty products that are actually worth it. This week, why we’re rebuying JINSoon’s despite the $18 price tag. Any nail polish has to pass two tests before I think it’s good: The formula has to stay chip-free when I hand wash dishes, and at least one person has to ask me what shade I’m wearing. Reaching for a JINSoon shade whenever I do my own nails is a no-brainer, but the only problem is that I’m into so many of her shades that I sometimes legit spend 10 minutes going through my stash of polishes trying to decide which one to use. While my colorful manicure didn’t go unnoticed, the two JINSoon nail polishes were the colors I was asked about the most. And that’s exactly why I built my manicure around them. Side note: Whenever I’ve worn both colors solo, I’ve also had a ton of inquires from friends and colleagues about what nail polish I had on. Since I put in the effort of painting each individual nail a different color, I planned on wearing this manicure for a week or so. I knew I could count on these two shades to hold up — and they did. The long-wear formula aside, the compliments I get whenever I wear JINSoon’s polishes make me feel great about my nail-painting skills and willingness to hand over $18 per bottle. 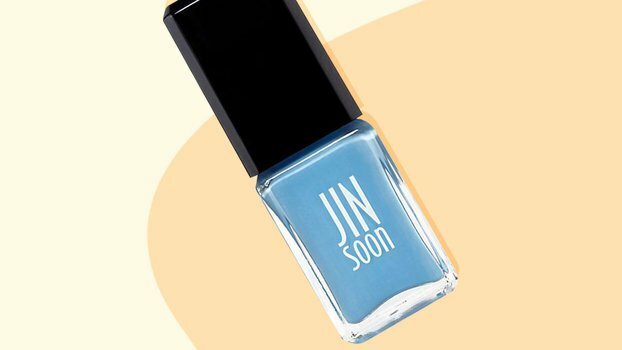 Next time you see me with a really killer polish color (or two) on my nails, you can bet it’s JINSoon.